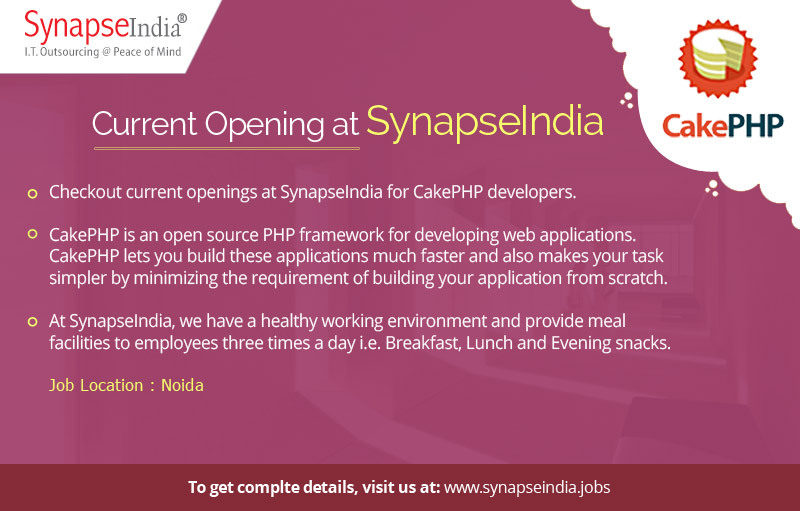 Checkout SynapseIndia current openings for CakePHP developers at Noida location. CakePHP is an open source PHP framework for developing web applications. CakePHP lets you build these applications much faster and also makes your task simpler by minimizing the requirement of building your application from scratch. At SynapseIndia, we have a healthy working environment and provide meal facilities to employees three times a day i.e. Breakfast, Lunch and Evening snacks.